In our everyday life we have to fight with different kind of stains, but some of stains are very hard to remove. “Blood stain” is that kind of stain, that you can not remove as normal washing way. If it is dried on a mattress your tension gets higher because you can’t toss it in a washing machine. So you should use other way to remove blood stain from mattress. Now i am mention it as blood stain removal tips. If you use this tips properly, than you can easily remove blood stain from mattress. Don’t worry, to remove blood stains here is a solution for you. It will easily remove blood stain from your mattress. You won’t need to buy any special stain removal. Some common things will help you as a blood stain removal. The ingredients are very common. These simple things will work as a blood stains removal. Now, you just need to work on it. If you are thinking that blood stains are very hard to remove from a mattress, removing blood stains will not be tough for you after reading this tip. You will be able to remove blood stains without any trouble by following the given instruction. 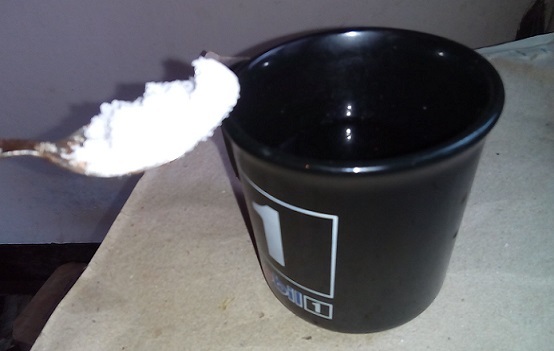 At first mix two teaspoons of salt with one cup of cold water. Then pour the solution in a spray bottle. Then spray the salt water over the attacked area. If you don’t have any spray bottle then make a clean cloth wet with the saltwater solution. After that, blot it on the affected area. Repeat the blotting with a dry cloth to absorb the saltwater solution (Blot and spray again and again until the blood spot is gone or the cloth stop soaking). Now, wet a cloth with cold water and blot again to absorb the remaining solution. To dry the area, use a clean towel or cloth. For removing blood stains here is a mattress cleaning tip. But it should be kept in mind strictly that warm or hot water cannot be used anyway, because it can help blood stain to set permanently. If you are fighting with a large blood spot then start blotting from the edge and then work your way towards the center. Do not rub the cloth, rubbing can spread the blood stain and it can also enter more deeply into your mattress. Please, keep in mind these mattress cleaning techniques before cleaning your mattress. As you have seen, the solution of the problem is so simple and easy. Thus, you can get rid of such stubborn problems. So, no more tension if there is any spot of blood on your mattress. Now you don’t need to call the mattress cleaning Service Company. You can remove blood stains from mattress easily by following these steps. Next Article How to Start Your Cleaning Service Business? Thank, glad that you got it as helpful.